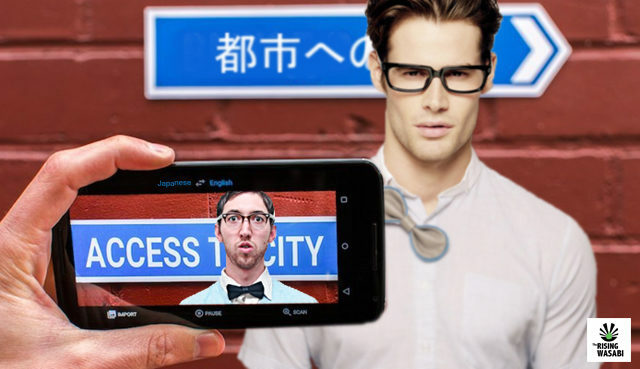 A new app available in Japan allows users to see an accurate translation in real time by simply pointing the mobile camera in the direction of foreign content. Customer reviews have been overwhelmingly positive with many saying the app has opened their eyes to a whole new world. “Thanks to my new app I learnt that Mike isn’t an ikemen but is in fact an ugly nerd,” said one satisfied customer. Another satisfied customer, Ryota Kobayashi, says he will be forever grateful to the app after almost asking an exchange student from America on a date. The app is free to download and is expected to contribute to the decline in Japan’s population growth. OK,great but maybe it will help us to have the name of the app! Its not a real app, gaijin fooled again! I heard that if you hold this app over a plastic omurice, it shows you a plastic omelette and bowl of fried rice.